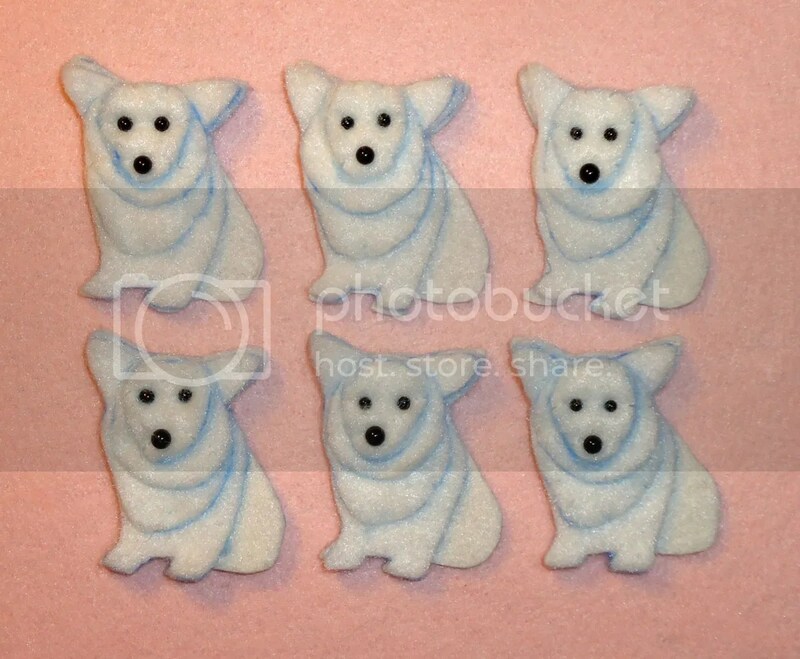 Felt Corgi Dogs Ready to Bead! This weekend, I prepared some felt Corgi shapes for an bead embroidery workshop. Cutting out the felt for my little dogs is a lot of work in itself! And, after cutting out the pieces, I stitch them all together & attach tiny glass eyes and noses. 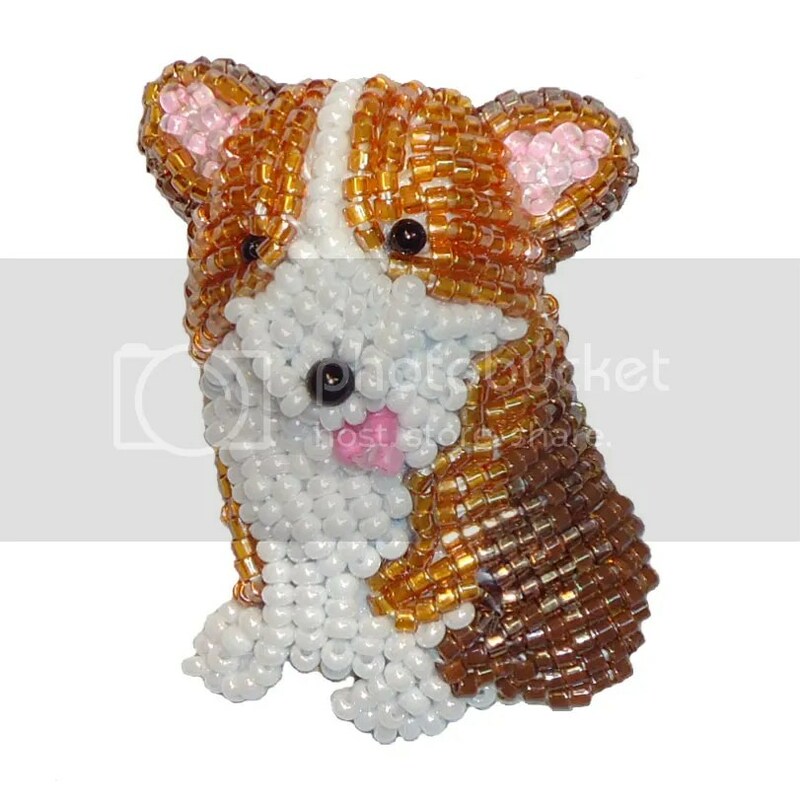 I think that preparing the felt foundations ahead of time will make it easier for beginning beaders..
Make a Beaded Corgi Pin! Happy New Year! 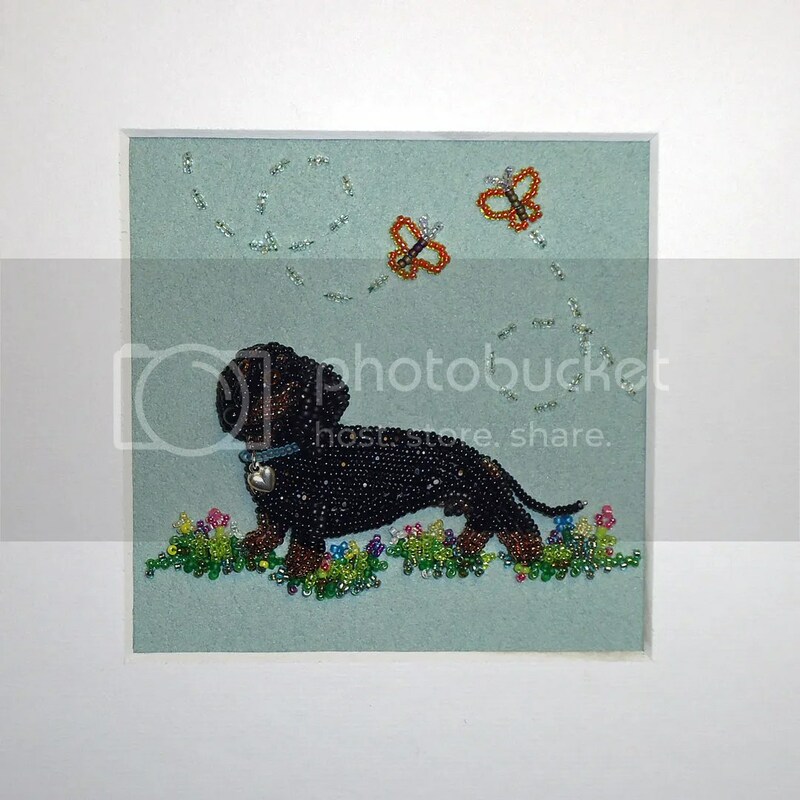 So far, 2013 brings shiny new beading opportunities! 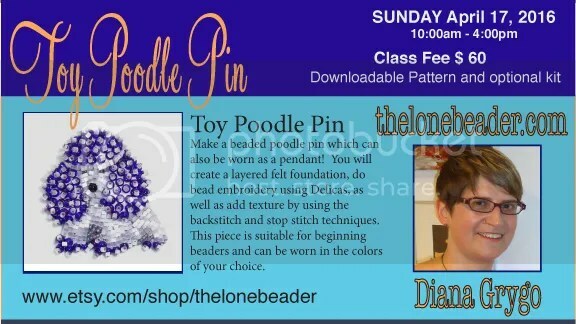 I will be teaching a special bead embroidery workshop later this month at Boston Bead Company in Salem, MA . 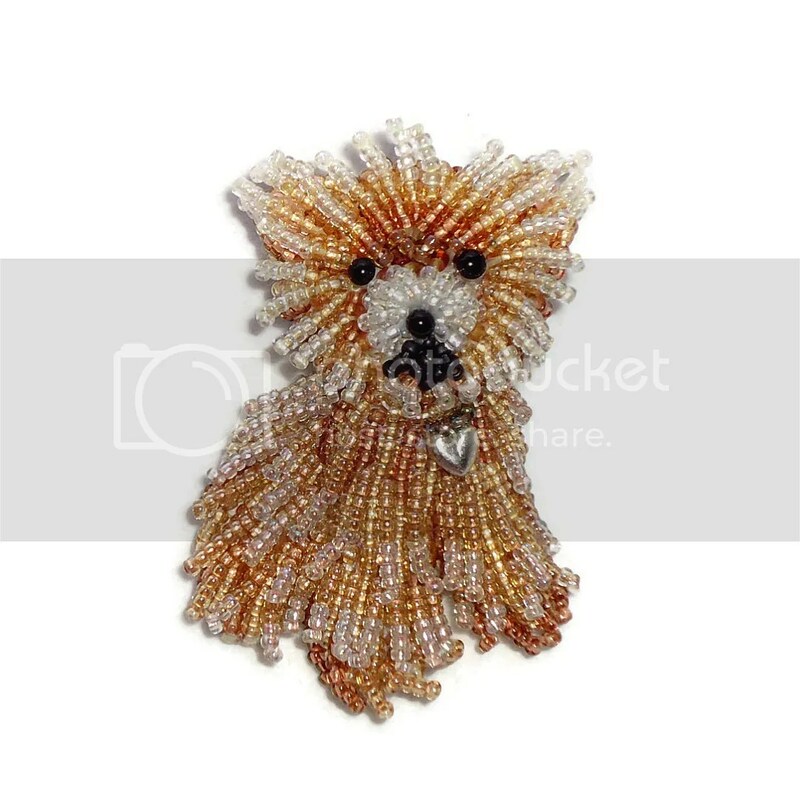 We will be making a new beaded Corgi dog pin using Czech size 11 seed beads & Delicas. 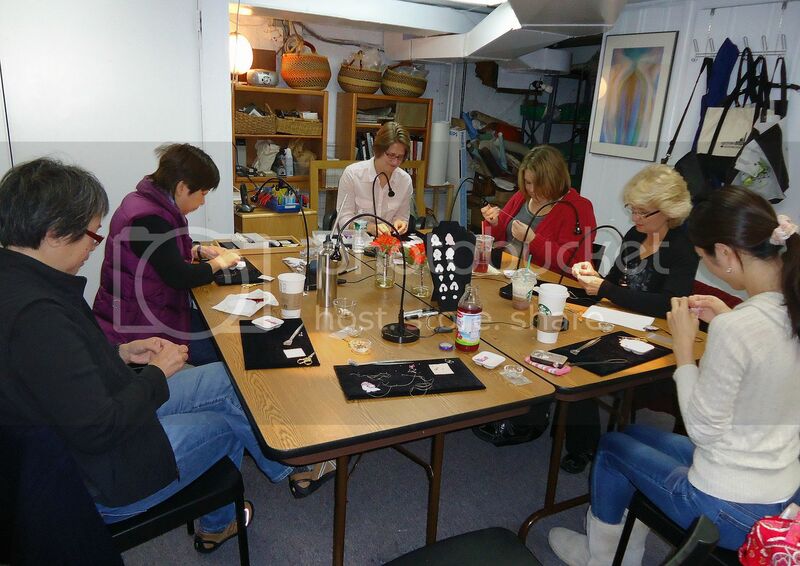 New Bead Embroidery Workshop in Cambridge, MA! 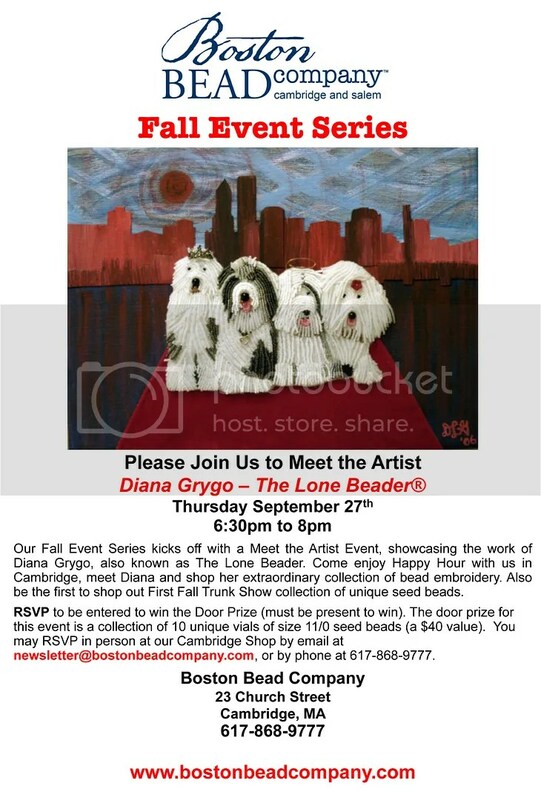 Thursday night’s reception at Boston Bead Company was fun! 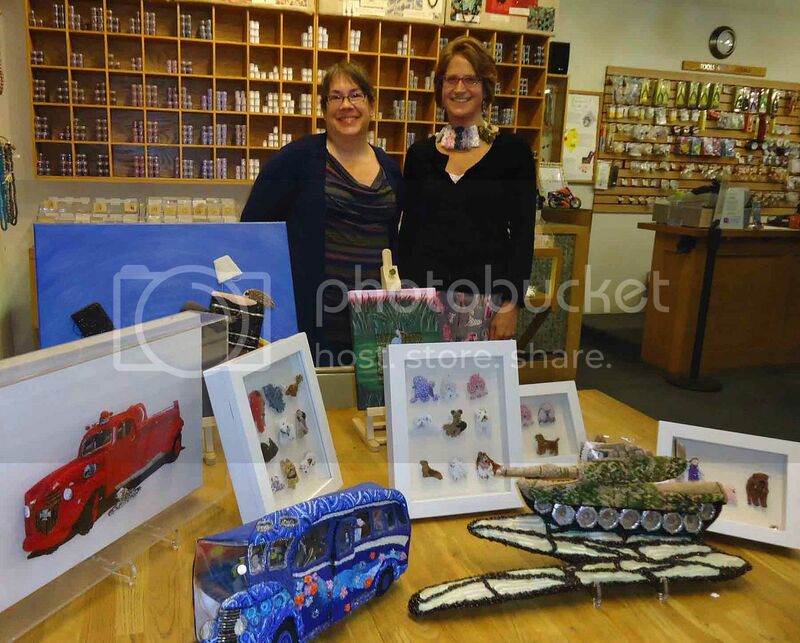 What a wonderful opportunity to show some of my beadwork in Harvard Square. 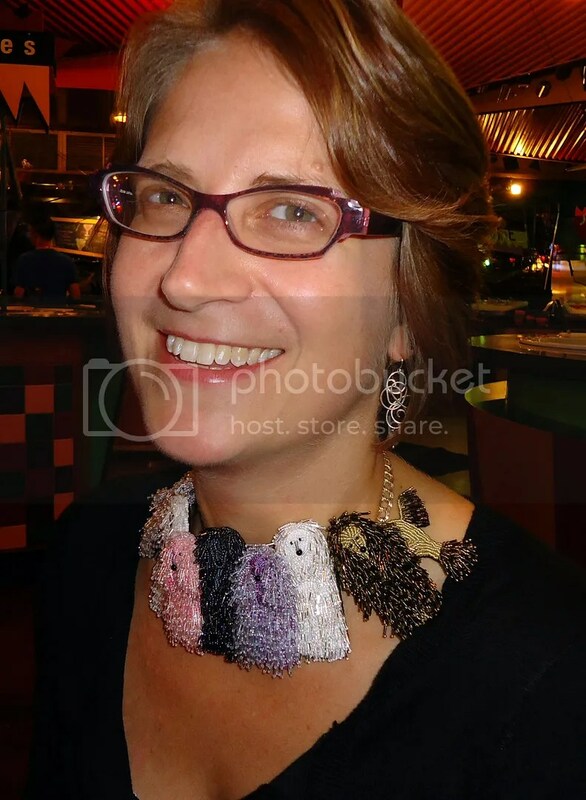 I also had the chance to talk about my creative process to those who were interested and perhaps new to bead embroidery. Here’s a quick pic of Carson Eddy, the shop owner, and I.. We had a great time checking out all of the gorgeous seed beads currently in stock for the Fall Seed Bead Trunk Show!